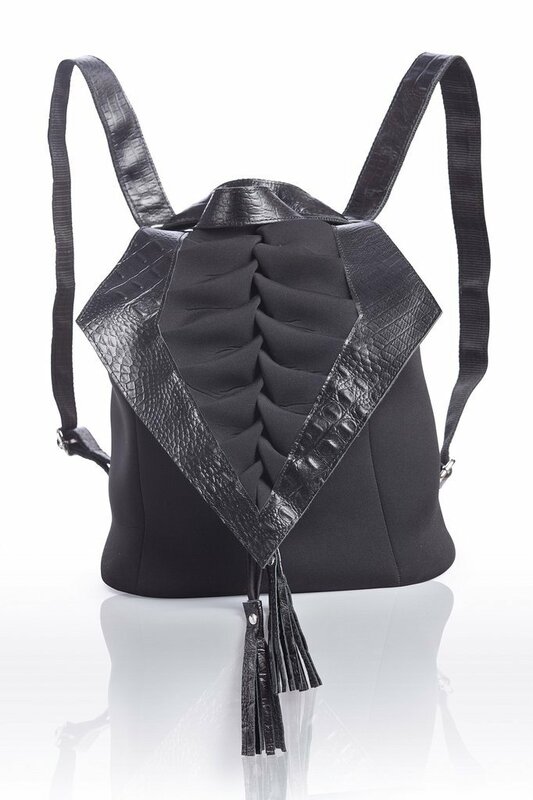 Manon backpack is ideal for everyday use or work. Made to fit your essentials and your laptop. It is crafted from embossed cow leather and water-resistant microfiber that protects your belongings. 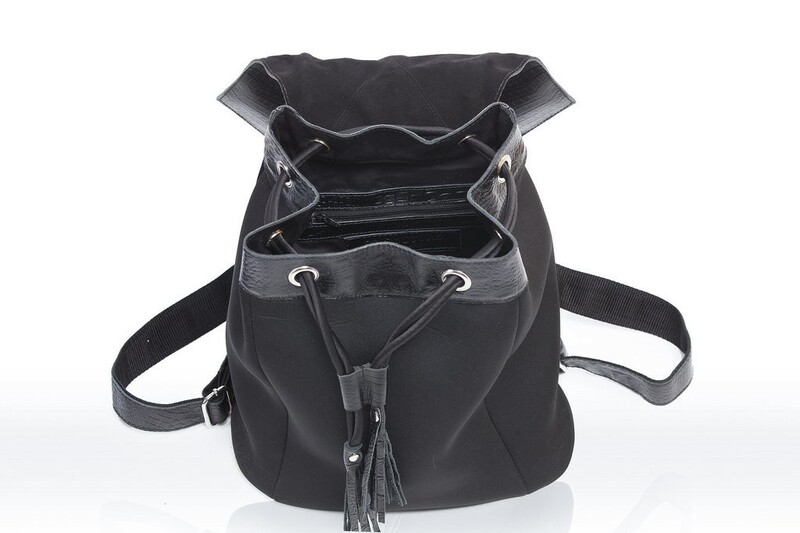 Adjustable leather strap, which can be worn on both shoulders or converted to a one shoulder strap. Closes with a pull-string.